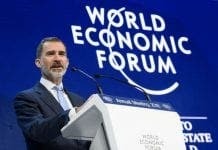 KING Felipe VI’s nephew will not be going to Sussex to continue his studies despite his mother’s trip to the UK to find a suitable boarding school. Felipe Juan Froilán, 16, was kicked out of Santa María del Pilar college as is their policy regarding those who fail their end-of-year retakes twice. 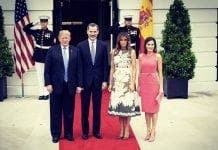 Princess Elena and ex-husband Jaime de Marichalar considered sending him back to the UK where he studied between 2010-11 but decided to send him to the Sagrada Familia de Sigüenza (SFS) episcopal college instead. The royal is often referred to as the black sheep of the family though his failing grades have been linked to his parents’ divorce and media harassment.